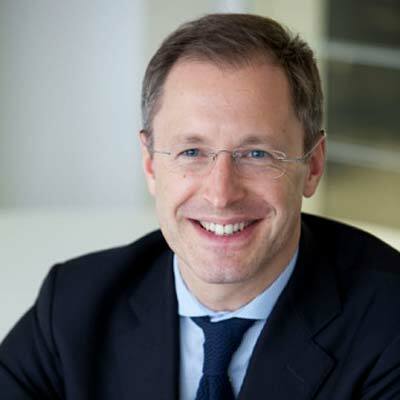 In charge of Sustainable Development and External Affairs since 2010, Jean-Luc di Paola-Galloni joined Valeo in 2006 as CEO’s delegate, member of the executive committee. Since January 2010, he is also the Valeo member to selection and investment committee of the Fonds Avenir Automobile (FAA), belonging to the French state owned Banque Publique d’Investissement (BPI). After six years as Vice-Chairman, he became in July 2015 co-Chairman of European Road Transport Research Advisory Council (ERTRAC) the main automotive technology platform on collaborative research of the EU Commission and acting Chairman of its related PPP European Green Vehicle Initiative (EGVI). Since 2016, he is also member of the Steering Board of Artemis – IA, the association representing the industry and research actors in the ECSEL Joint Undertaking (the Joint Technology Initiative on Electronic Components and Systems in the EU). Additionally, he is member of the strategic group advising the board of CLEPA (European Association of Automotive Suppliers). His commitment to establish fair relationships between the automotive industry and international bodies, with a multi-stakeholder approach is also reflected by his commitment to advise the International Forum of OECD Transport Ministers from the beginning (2008) and to the Global Council of Automotive Industry of the World Economic Forum since its creation (2010). He was previously advisor to the CEO of Gaz de France (2002-2004) and has a research experience in the field of defence, international relations and strategic affairs at Harvard University (Olin Institute, Weatherhead Center), Ecole Normale Supérieure and Institut des Hautes Etudes de Défense Nationale (French War College).